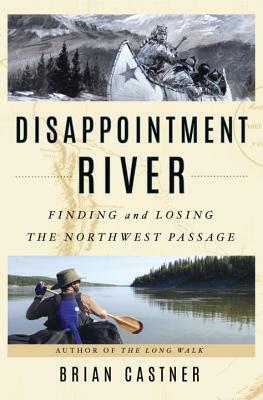 Disappointment River is a dual historical narrative and travel memoir that at once transports readers back to the heroic age of North American exploration and places them in a still rugged but increasingly fragile Arctic wilderness in the process of profound alteration by the dual forces of globalization and climate change. Fourteen years before Lewis and Clark, Mackenzie set off to cross the continent of North America with a team of voyageurs and Chipewyan guides, to find a trade route to the riches of the East. What he found was a river that he named "Disappointment." Mackenzie died thinking he had failed. He was wrong. In this book, Brian Castner not only retells the story of Mackenzie's epic voyages in vivid prose, he personally retraces his travels, battling exhaustion, exposure, mosquitoes, white water rapids and the threat of bears. He transports readers to a world rarely glimpsed in the media, of tar sands, thawing permafrost, remote indigenous villages and, at the end, a wide open Arctic Ocean that could become a far-northern Mississippi of barges and pipelines and oil money. "An exhilerating historical narrative...Castner evokes vivid personalities and drama from the archives ... Historians and armchair travelers alike will be equally pleased with this volume."